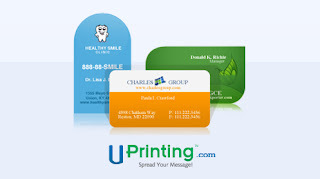 Thanks to the folks at Uprinting.com, I am able to give away 250 die-cut business cards to one of my lucky readers. Business cards have developed from plain and boring to a more modern style. They offer many styles that include rounded corners, square cards and circles. Check out all the cool business cards that they have to offer. Uprinting has a great tool to help you design your perfect business card. They even provide a proof so you know that your cards will be just the way you like them. 2×3.5″ Rounded Corners, 2×2″ Rounded Corners, 1.75×3.5″ Rounded Corners, 2×3.5″ Leaf, 2×3.5 Rounded one corner, 2×3.5″ Half-Circle Side, 2×3.5″ Oval, or 2.5″ Circle. 5. 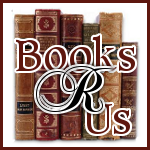 There will be a 6 business day print turnaround time and will be shipped free to US only. Contest ends on 5/1/12 @11:59pm EST. See rules on Rafflecopter.